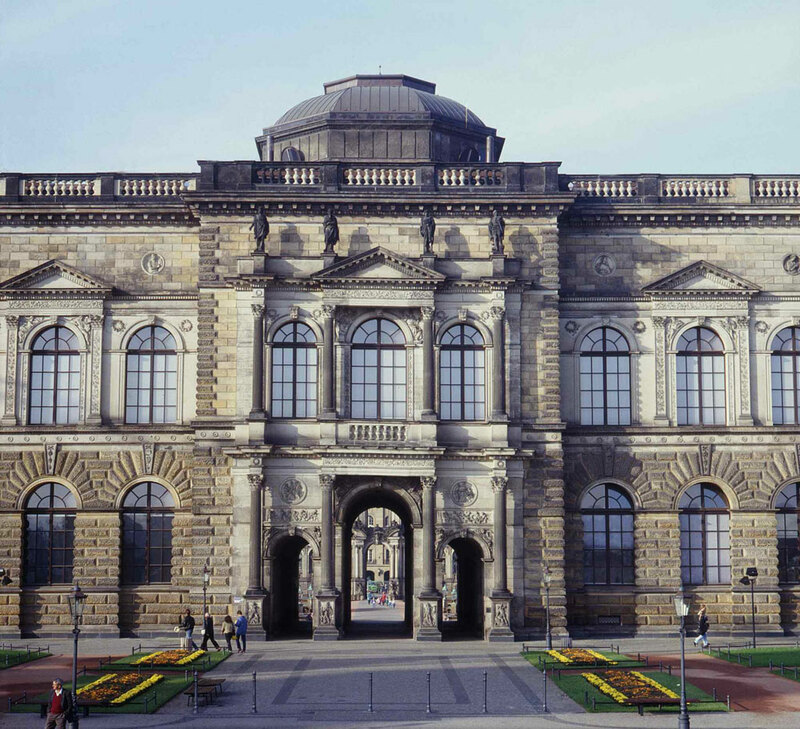 The Dresden Old Masters Picture Gallery (Gemäldegalerie Alte Meister) was created in the first half of the 18th century. Although it is true that numerous paintings were already held in the “Kunstkammer” (Art Chamber) of the Electors of Saxony, which was founded in 1560, the systematic expansion of the collection of paintings did not begin until the reigns of Augustus II the Strong (1670–1733) and, in particular, his son Augustus III (1696–1763). All over Europe their agents purchased large numbers of 16th, 17th and 18th-century masterpieces for their collection. The fame of the Gallery is based on widely known paintings such as Raphael’s “Sistine Madonna”, Giorgione’s “Sleeping Venus”, Correggio’s “Holy Night”, and Vermeer’s “Girl Reading a Letter at an Open Window”. With other famous works by artists such as Van Eyck, Rembrandt, Rubens, Dürer, Holbein, Titian, Veronese, Canaletto, Poussin, Watteau, El Greco, Murillo, Raeburn, and Graff the Old Masters Picture Gallery displays the crème de la crème of European art from the late Renaissance to the Rococo period. 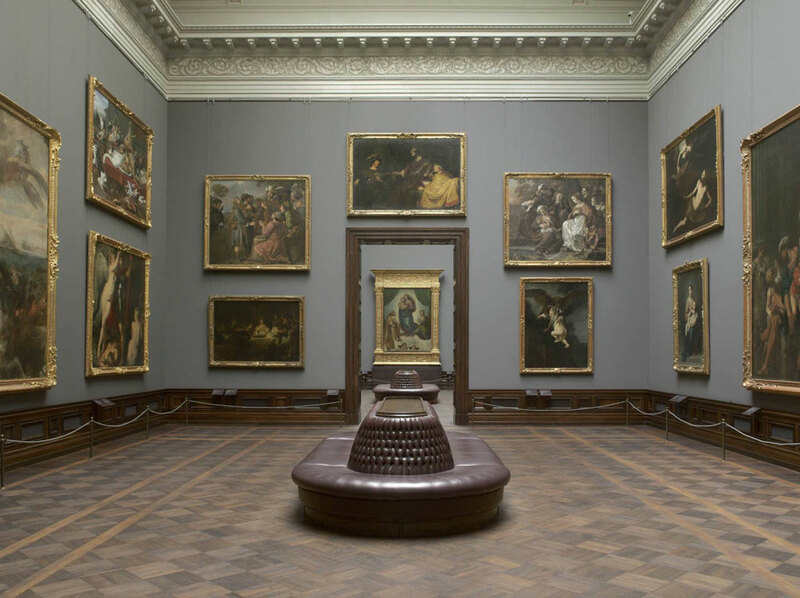 The collection is located in the gallery building at the Zwinger. 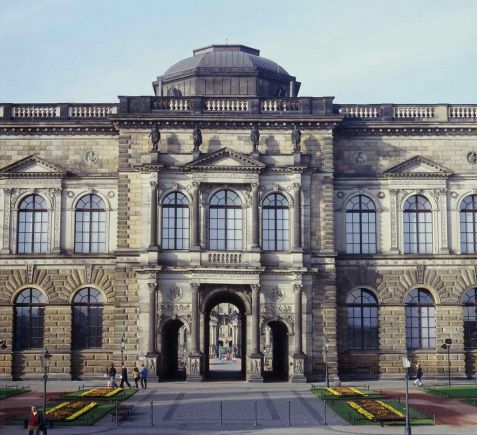 This was constructed in 1855 according to plans drawn up by the architect Gottfried Semper, and it was one of the most important museum projects in Germany during the 19th century. The Gemäldegalerie welcomes more than half a million visitors each year – a number that is still on the rise.